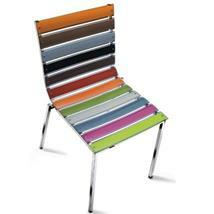 The Spectrum is an all new Italian designer chair that simply screams personality. 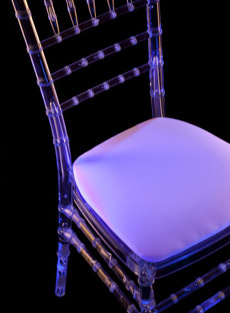 Its funky minimal design is guaranteed to turn heads and make your event really stand out. 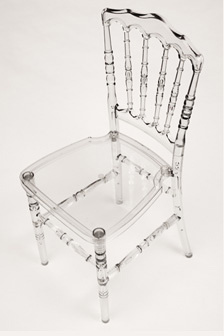 The chair is 100% customisable, from the finish of the frame to the colour of each individual plastic slat - choose from a range of 15 eye catching colour options. Stackable up to 10 high for ease of storage and suitable for indoor / outdoor use, The Spectrum is a true cosmopolitan all rounder.